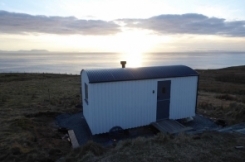 Our newly built self catering eco Lodge sleeping six in three bedrooms with two bathrooms and glorious views out of the 'boat end' panoramic windows looking over The Minch to Skye and the outer Hebrides. 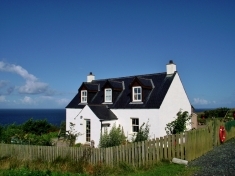 Watch the stars, passing boats or Atlantic weather rolling in from the super sized bed in the main bedroom upstairs. 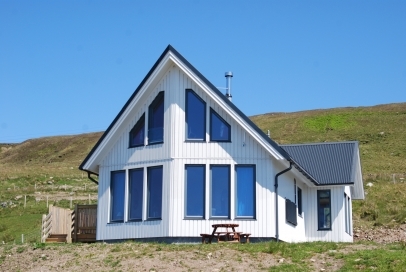 Super insulated with triple glazing, wood burning stove heating, mechanical heat recovery system and Thermo Dynamic panel heating the water the house is light, airy, spacious yet cosy and sealed from the west coast gales! 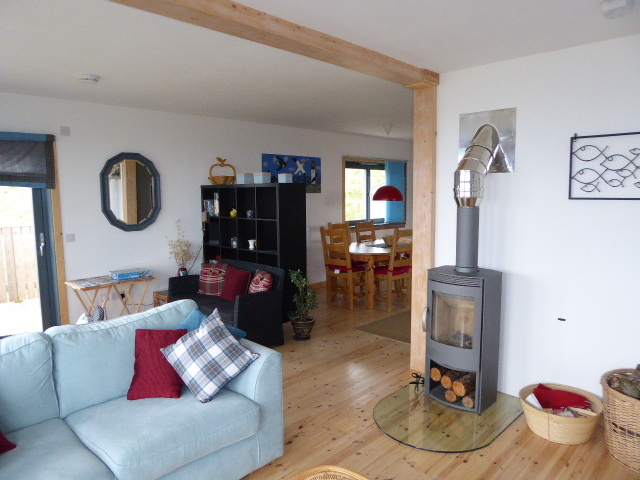 All electricity, logs for the stove, linen, towels etc are included in the letting price. The kitchen area is separate from the main room yet connected so the cook isn't isolated from the party! 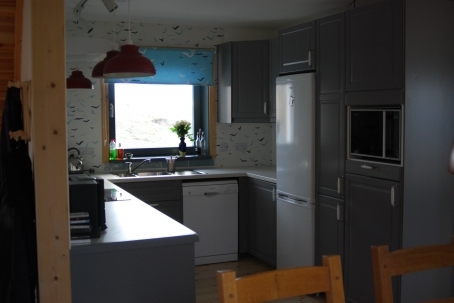 There are two ovens, a micro wave, induction hob, fidge /freezer, dishwasher, blender and coffee machine. 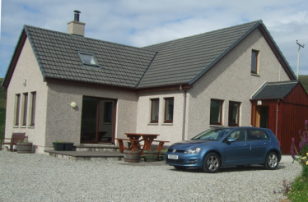 We ask £100 booking deposit with the balance payment due a month before the arrival date. The house sleeps six plus two infants under three years of age in their own travel cot. Up to 2 dogs free of charge are welcome. Our availability is displayed below in the calendar. For prices or if you have any queries please contact us.